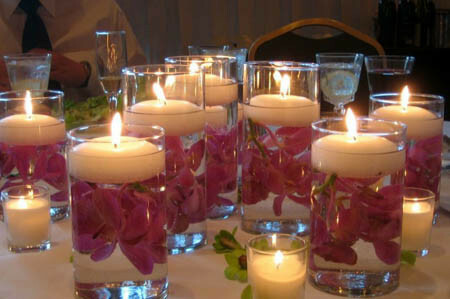 Scented candles are trend in this modern society. They can create romantic atmosphere, can chase the smoke from cigarettes, but they also contain something that can harm your health. A lot of people are not familiar with these things and almost in every home you can notice a lot of different and colorful candles.These products that are making our space smelly can cause a lot of health issues and the symptoms can be different from person to person. In someone can appear mild coughing and other can feel eye problems. They can cause asthma to or other allergies. New studies have shown that scented candles and air fresheners can pose a serious risk to human health. Here are included scented candles to which are added aromatic oils, various fresheners (especially those that are plugged in electricity). Numerous studies have shown that burning scented candles emit chemicals like formaldehyde and paraffin, and the long-term exposure of these chemicals increases the risk of developing a number of respiratory problems in children and adults and even lung cancer. Researchers at the Public Health England Center for Radiation, Chemicals and Dangerous Environment have found that some air fresheners contain certain amounts of formaldehyde, which can lead to the development of cancer in the nose and throat. The researchers found that the long-term usage of these odors could lead to tumor development, lung damage, asthma, and hormone balance disorders. The organization “Women’s Voices for the Earth”, however, believes that these products influence the hormonal development of babies. This mom burned some scented candles in her home to complete the festive atmosphere. Candles burned for few hours, and after she wiped her baby’s nose, she noticed some black spots on the handkerchief. She asked for help, and after that find out that the black spots came from the scented candle.Her doctor told her that if you’re staying longer in closed space with burned scented candle, can cause heart issue and asthma. Then the mother also noticed that clear warning on the bottom of the candle that is not recommended to be burned more than three hours.